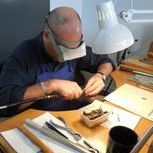 I started in the Jewellery Trade at the age of 20, being trained in South Australia by the Goldsmith Richard Ivey. That was in 1980. Since then, I have never stopped. The creative Process, the precious Materials and the varied and unique Projects of my Clients never ceases to challenge my Skills. Today I work in my own Studio in Queensland, Australia and create unique Jewellery for my Clients Worldwide. 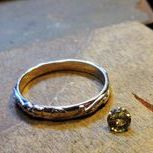 I also offer personalised "Make your own Wedding Rings' 1 x Day Courses for Couples by Appointment. I am passionate about my Trade, love what I do and take great Pride in creating High End Jewellery in Gold, Platinum, Palladium and Silver, with stunning Gemstones for my private Clients. In the Tradition of the old Masters, I strictly work as a 'One Man Show'. 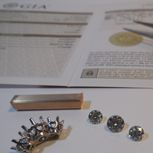 Contact me now for your new piece of Fine Jewellery or exceptional Diamond / Gemstone. 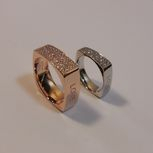 I create your Engagement Ring, your Wedding Rings and any other type of Jewellery to Perfection. Why choose a Master-Jeweller to create your special pieces of Fine Jewellery ? 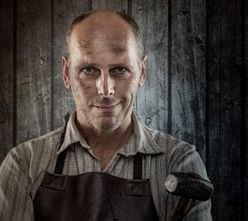 In a world of Mass produced generic Products we search for the Unique, for Quality and Individual Workmanship, done by highly skilled Craftspeople. A Master Jeweller comes with a lot of Experience and long established Trade Connections enabling him / her to create beautiful pieces of Jewellery with the finest Materials at a quality Level that generic Products simply cannot match. A handmade piece of Fine Jewellery has a Soul... It holds a Story... Machine Production offers none of this. View a Fun Video below! 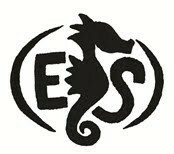 This is my Makers Mark! Found inside / or on the back of my Jewellery.